Animals are the greatest friends of man, more than humans, in fact. To quote George Eliot, animals are such agreeable friends-they ask no questions, they pass no criticisms. Dogs have always found a special place in our hearts and love you more than you love yourself. It is our duty to treat all animals with love and protect them. The greatness of a nation and its moral progress can be judged by the way its animals are treated. Hunting that harms or kills the animals should never be encouraged even as sports. Hunting is not fair because in sports, both sides should know they are in the game. We should know how to value a life because a life is a life whether in humans or in animals. We see the difference for our advantage and thus, try to establish that we are superior to animals. 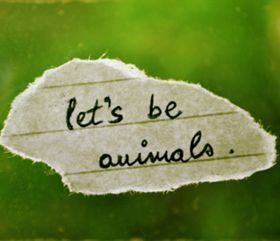 A myriad of quotes on animals are available and send them to others to spread the message of love to animals.